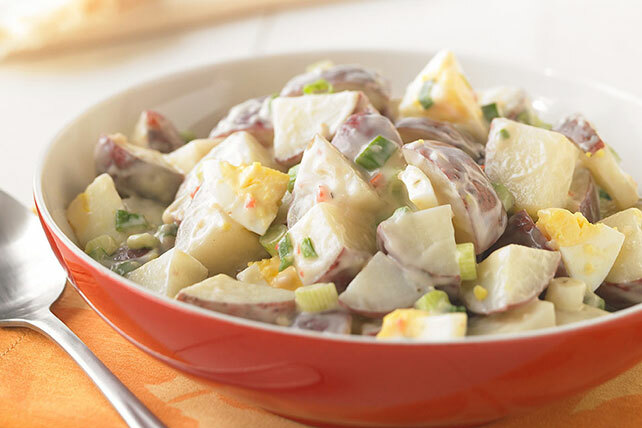 Discover a new go-to with our delicious Easy Potato Salad recipe. Our better-for-you Easy Potato Salad has some extra zing from a touch of mustard. Cook potatoes in boiling water in saucepan 15 min. or until tender; drain. Rinse with cold water until cooled; drain. Mix dressings and mustard in large bowl. Add potatoes, eggs and onions; mix lightly.